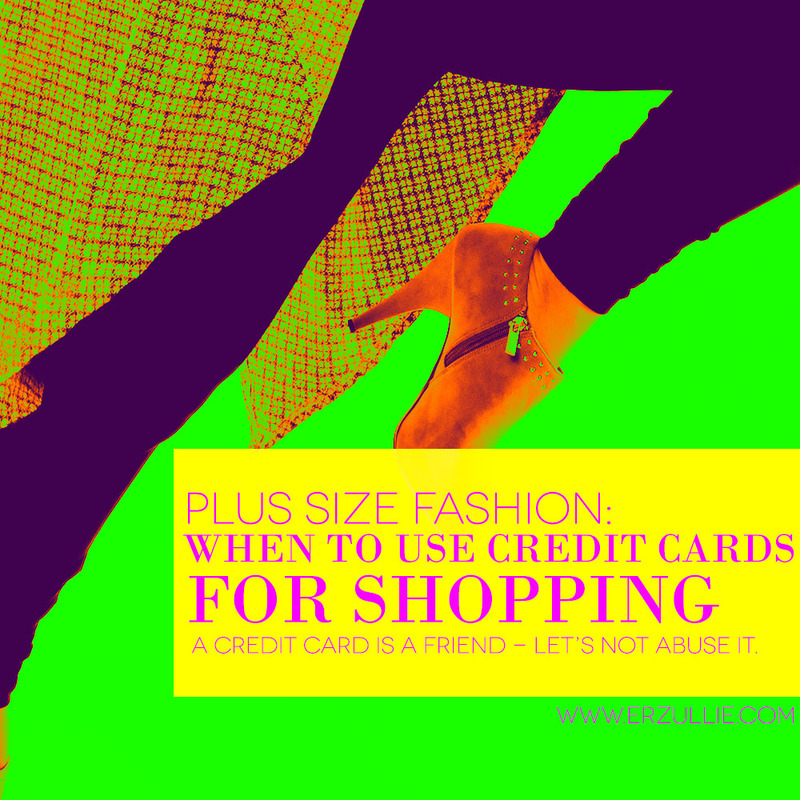 PLUS SIZE FASHION: WHEN IS IT OKAY TO USE YOUR CREDIT CARD FOR FASHION SHOPPING? Credit cards are actually your friend. They help you buy that piece of item you have always wanted in installment, have some rewards points you can shower here and there and above all --- convenience! But just like any friend, misuse this relationship and she will bite you in the behind faster than you can say “collectors calling”! So when is it really okay to use your credit card for fashion shopping? #1 If it’s a fashion piece that you can resell in its ORIGINAL VALUE (or more), then why not? In this case this fashion piece is an investment. The thing is though, it may take some time to liquidate it at a price that you want to get. After all it depends in the current economic environment (demand, supply, appraisals etc.) If you are okay with this, then give it a go. #2 If right now, you actually have extra cash in the bank (not savings!) to pay for it the next day, then why not? Point is, before you do the swipe --- REFLECT! Do you actually have that amount in the bank to pay for it the next day? And we are not talking about your hard earned savings. We are talking about extra money laying around. If not, then why put yourself and your gold egg at risk? #3 If you actually saved up for that dream item and credit card is a more secure way of purchasing it than lugging a huge amount around. Almost like the #2 in the article, but different. Let’s say for example, you have always wanted to buy the whole collection of Erzullie demi-couture (ahem!) pieces but don’t wish to log around a specific amount of money. Credit card is one way to secure yourself at least. So, why not? After all, you did save up for it. No debt by the next banking day! OPEN TO ALL PLUS SIZE MODELS! Learn how to start your passion for modeling, update your skills and gain insight from today’s best plus size fashion team! Erzullie is holding a PLUS SIZE MODELING WORKSHOP: BASIC POSES on JUNE 4, 2016, Saturday, 1pm-4pm at the Erzullie Showroom, Eastwood City, Quezon City. 5 SLOTS ONLY! REGISTRATION FEE OF PHP 2,000 GETS YOU THE FOLLOWING! 2) WAIT FOR THE ERZULLIE EMAIL AND FOLLOW INSTRUCTIONS ON HOW TO CONFIRM YOUR SLOT.